We absolutely LOVE Capella, and immediately jumped on the chance to co-own Sirius with Alethia Homestead. 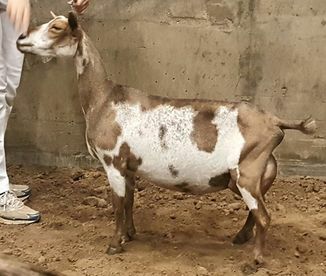 We bought him fully in 2016 and eagerly await his arrival this fall to breed to our kid crop! Sirius is not available for outside breedings.